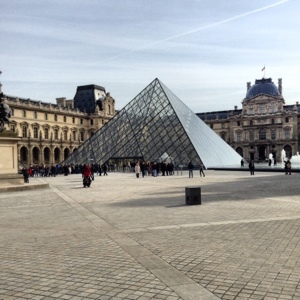 It’s day 5 of our 7-day trip to Paris. We’re having a wonderful time doing lots of eating, walking and sightseeing. Today’s Visible Monday post will be short and without the proper links and badge (sorry, Patti!) as I’m on a blogger app for iPad that is not very user friendly. More than anything, I wanted to let you know why I’ve been so absent this last week. I’ll be back soon with lots of photos and tales of Paris for you. Wonderful, Adrienne!! Enjoy the remainder of your time and have safe travels home!! It looks incredible! I would love the visit Paris one day. Thank you for sharing your lovely photos 🙂 Have a wonderful time! You are in Paris how fabulous! Enjoy! 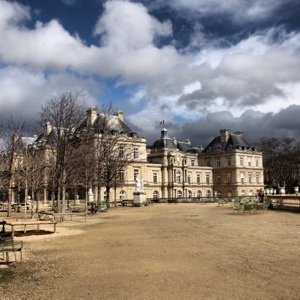 Do I recognize Luxembourg Gardens? C’est si bon! Your photos are so beautiful. Glad to see you had some sunshine-despite arriving with snow and a little rain. 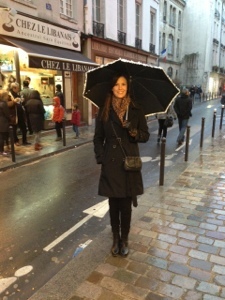 Paris is lovely no matter the weather. 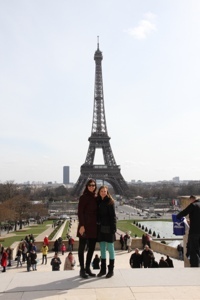 Thank you for sharing glimpses of this special family getaway to Paris. You look so lovely in Paris! Have a safe trip home, Adrienne. Make the most of what’s left and look forward to hearing all about it on your return. Paris is so beautiful! Enjoy your holiday! Aahh. 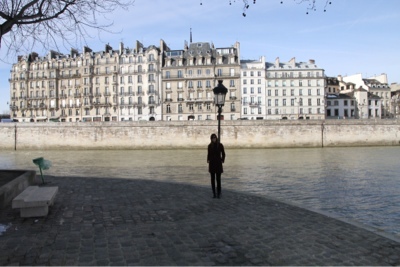 your pictures made me miss Paris! Love the city..
I’m glad you found a decent weather…you were spared, in my area yesterday there was a pretty violent wind storm and heavy rains… many damages, broken windows and branches, the annual fair had to shut its doors ’cause the marquees are badly damaged..I don’t know what the hell is going with weather this year, all I know is that we are suffering a lot from it..enjoy Paris!!!! Enjoy every single minute of your trip! You are on my dream trip, so enjoy it for me too! Come back safe, and thanks for all the really excellent documentation! So happy you were able to share these beautiful photos! Safe travels my dear!